Zombies – I WILL EAT YOU! 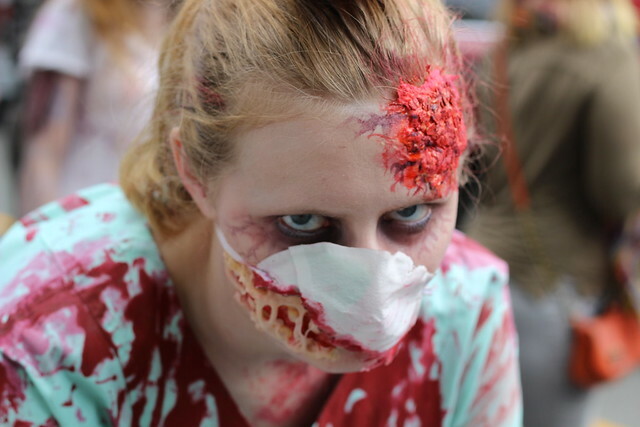 Last weekend was the annual Zombie Walk in Vancouver. Many, many zombies gathered at the Vancouver Art Gallery and then roamed down Robson Street and ended up down in English Bay. Edit- Whoops. Looks like WordPress isn’t liking the embed. Go to the link here.